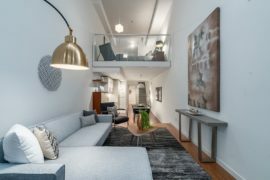 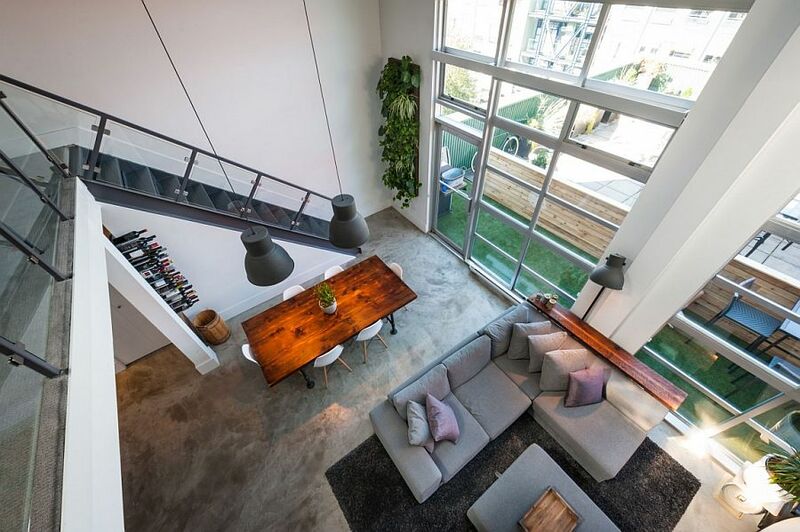 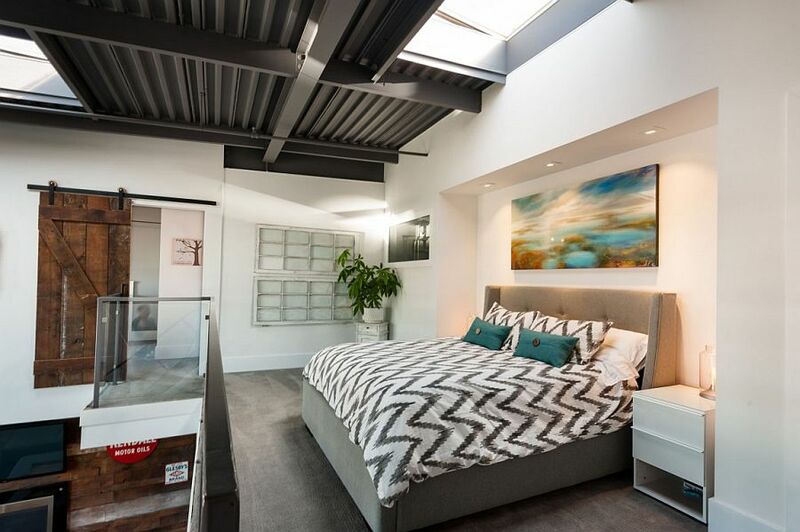 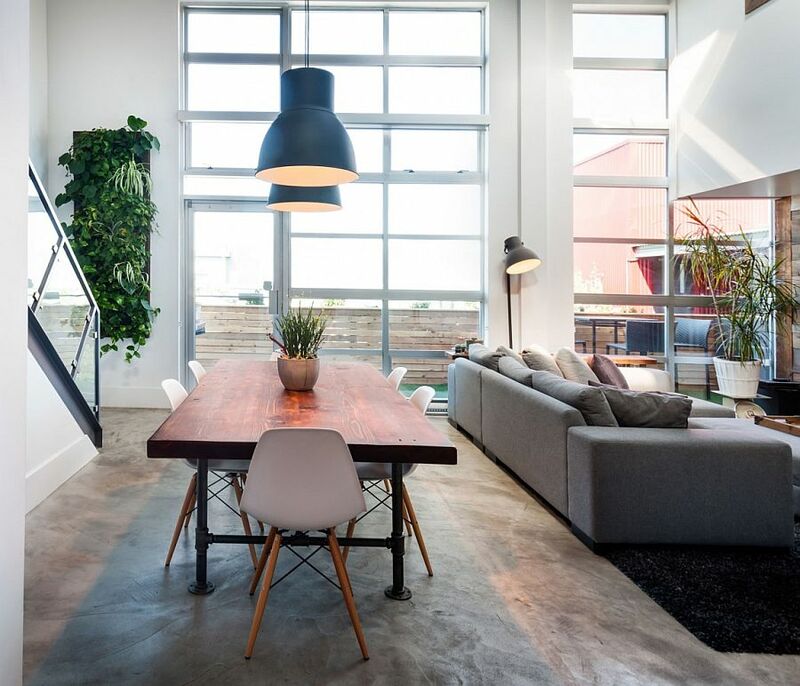 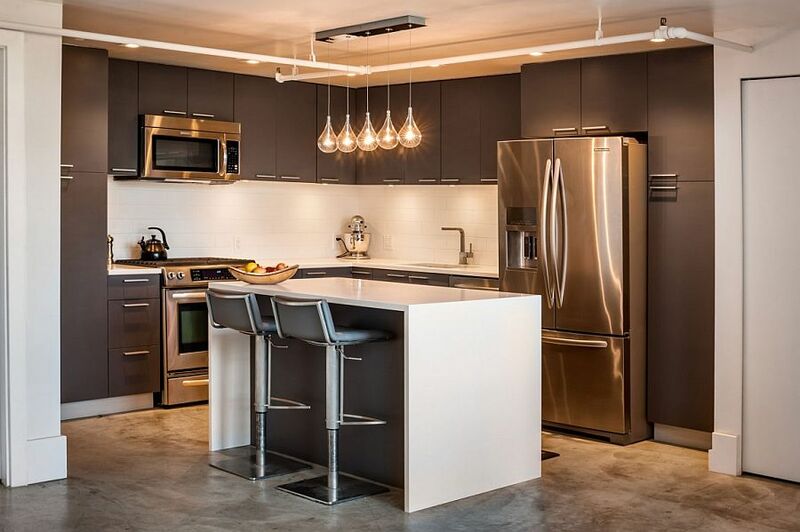 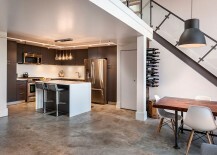 At first glance, this elegant loft in Vancouver, British Columbia looks like many other private residences in the region that have a typical industrial look. 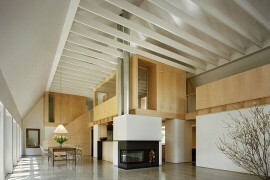 Yet look closely, and you will immediately notice the one big feature that truly sets it apart. 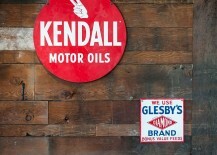 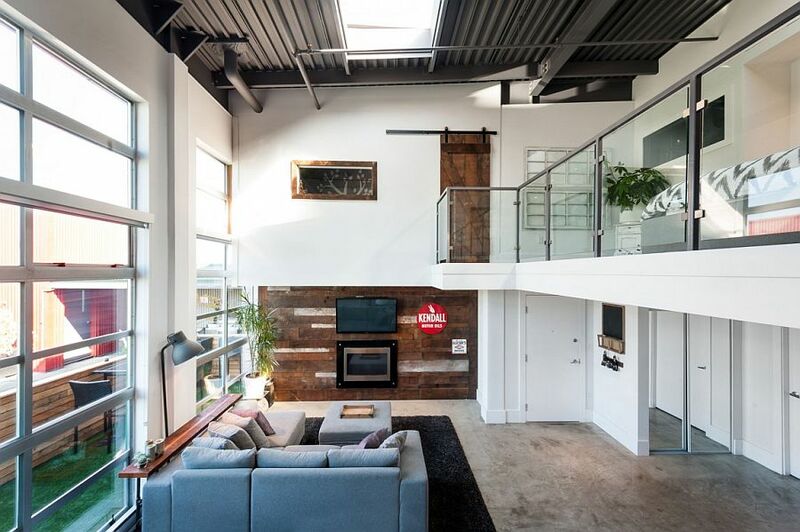 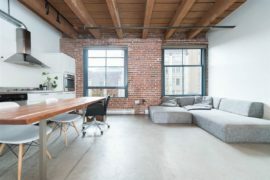 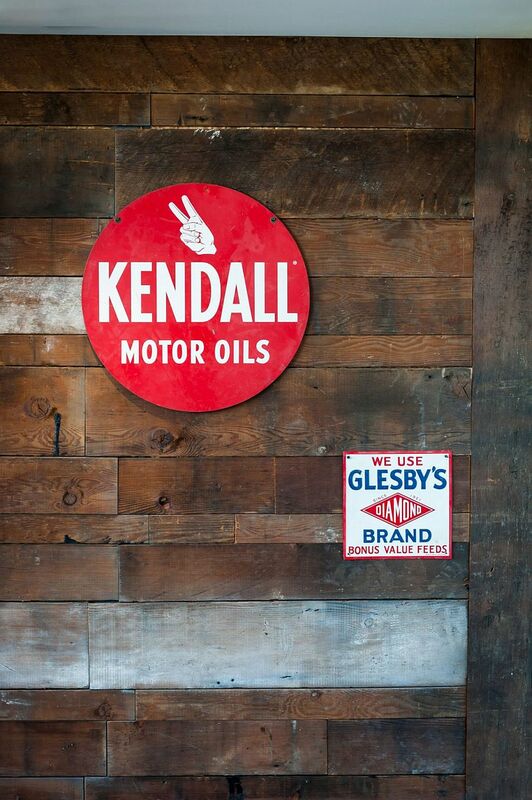 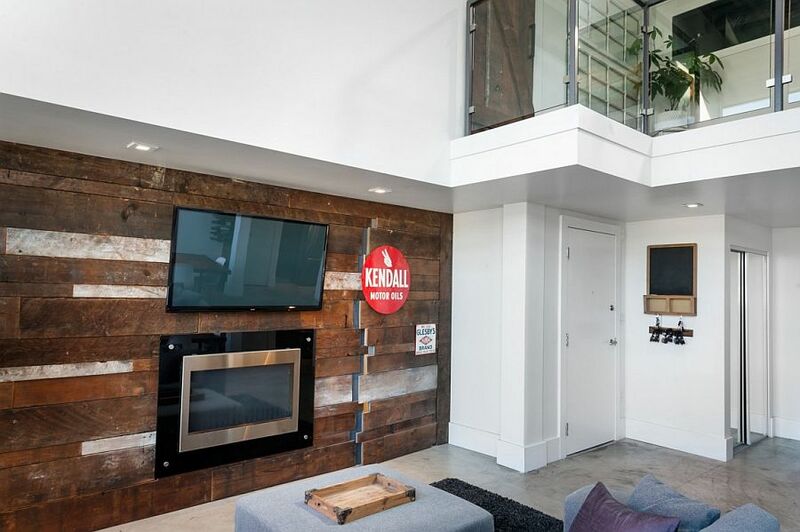 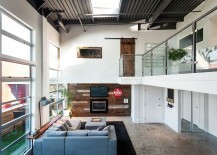 While most industrial lofts in Vancouver are draped in brick, glass and metal, the Mecca loft building turns to reclaimed barn wood for an inviting and inimitable interior. 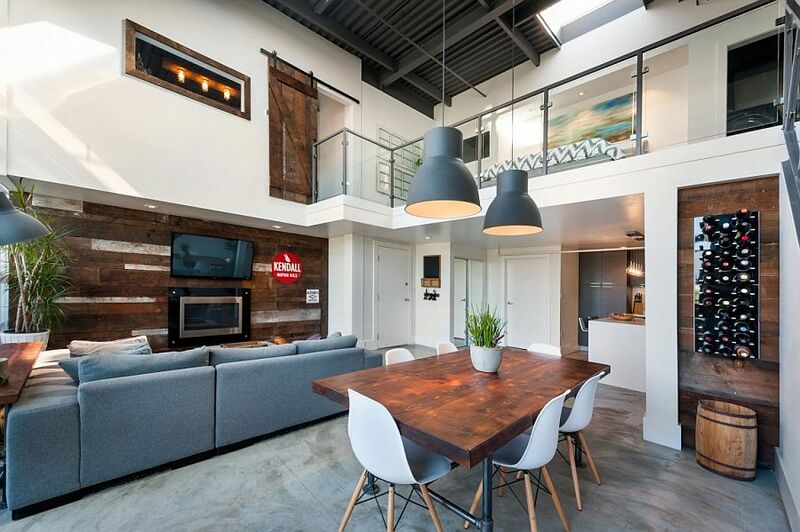 The 1350-square-foot home designed by The Macnabs embraces a ‘vintage modern’ style that is firmly anchored in the historic roots of the region. 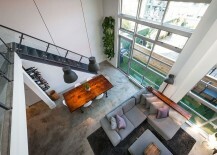 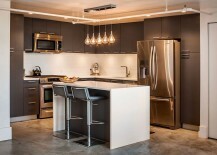 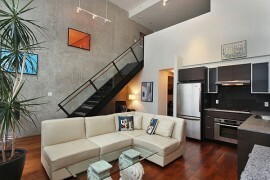 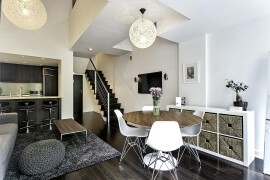 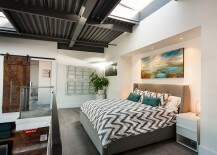 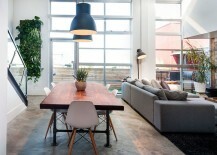 With a neutral color palette, a lovely blend of textures and a cheerful atmosphere, the loft draws you in instantly. 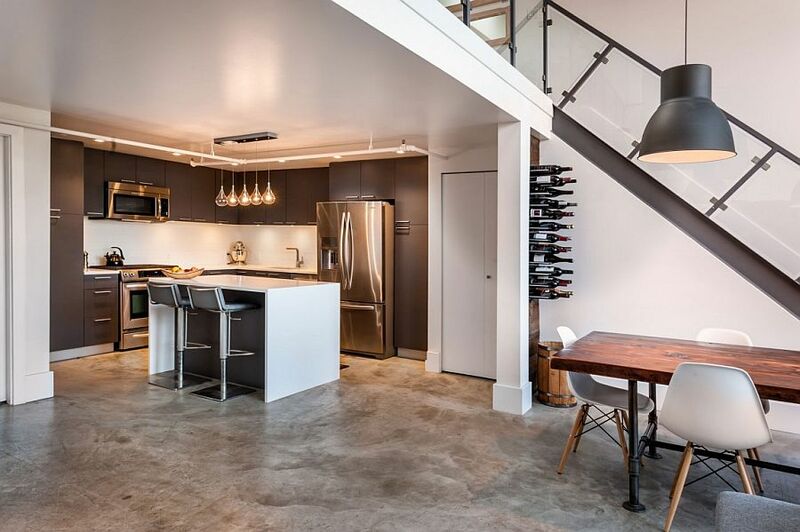 The double-height lower level contains the relaxed living area, a small yet ergonomic kitchen, a secret home office cleverly concealed, and a wonderful dining space with distinct industrial lighting. 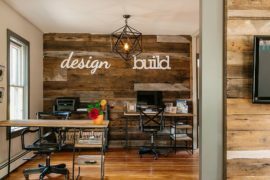 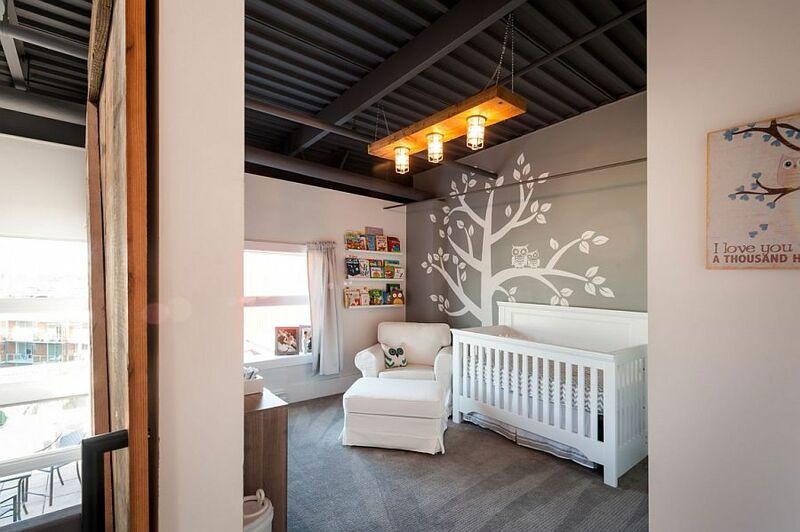 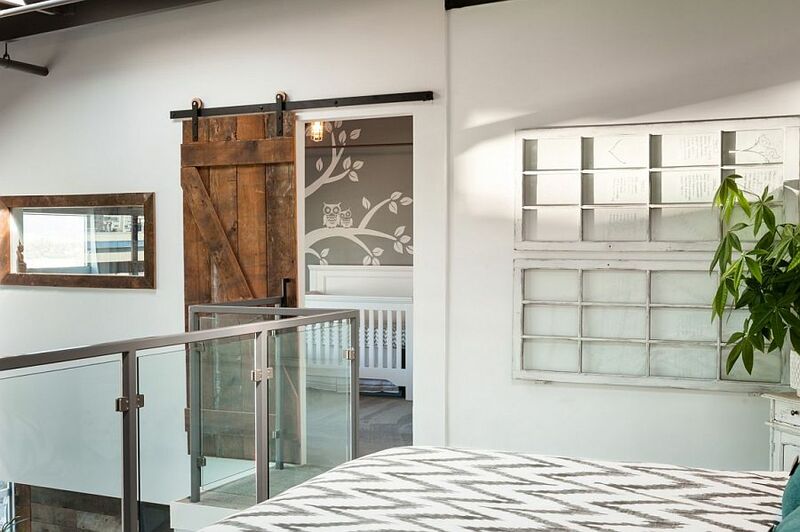 White and gray are colors that define the setting, while reclaimed barn wood is used extensively in every area to craft features such as the living room feature wall, custom dining table, barn door for the nursery and window trims. 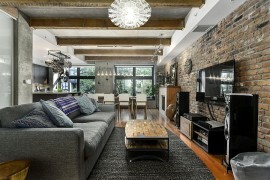 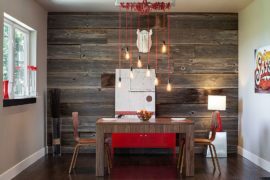 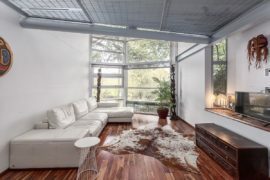 It is this use of reclaimed timber that gives the various rooms a sense of connectivity in terms of style and ambiance.